What are the questions that you are researching with data? What do investors look at when evaluating a company to determine if it’s a good company to invest in or acquire some or all of it. To examine how a company’s value is determined in the stock market. What are the issues in collecting data? Here is the data set so far. What are the issues in cleaning the data? The only issue with cleaning the data is making sure it’s correct because much of it is dependent on calculations based on other data. Most of the data is not just a list, but is formulated based on adding, dividing, subtracting, or multiplying different data points. What are the issues in understanding the data? The data, for the layman, can be a bit tricky to understand. 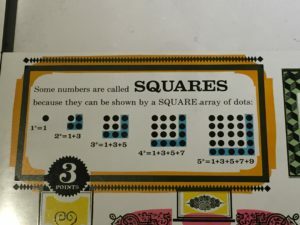 In particular, the idea of a multiple. For example, with multiples you can’t just share absolute share prices of companies to look at value. 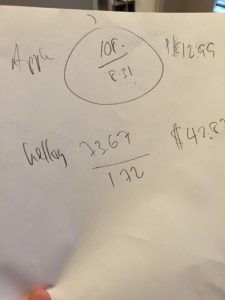 You can’t look at Apple’s share price which might be $108, for example, and look at Kellog’s share price which might be $73, and think that the company is a better investment because Apple is more expensive to buy than Kellog. One reason is that Kellog has a much lower risk of investment than Apple. Apple is perceived to be very risky by investors because technology changes. It’s easy to see this when looking at Nokia and Blackberry, and see that a company which is very profitable can also easily be wiped out because of the high risk nature of changing technology. What the iPhone did to Nokia and Blackberry can also happen to the iPhone, and that is why Apple is so much cheaper to buy than Kellog. So, there are some ideas that require some deeper explaining. What kind of data visualizations can help portray this? It might also help to compare certain financial concepts by comparing them with other common ideas such as real estate, gasoline, etc. ; things that people already can somewhat understand. This will require a variety of visualizations. Please provide possible vis sketches and/or notes from exchanges with community partner. 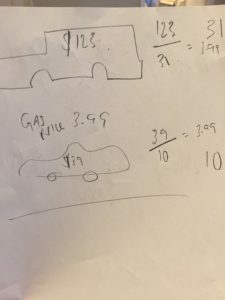 Sketches to explain the idea of the value of a share in a company and a multiple. 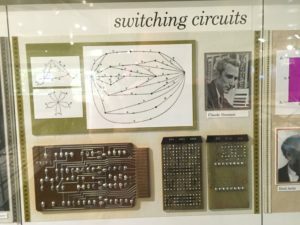 I visited NYSCI on the 22nd, and visited the two exhibitions. The one with the lights was interesting, for kids, but fun for adults as well. I’m surprised that technology has not caught on yet. There was an exhibition in Union Square over the holidays about ten years ago doing something similar. Except in that installation, there was a gazebo-like covering on the north side of the park with sensor lights installed that projected snowflakes onto the cement below. The lights reacted to body movement when someone walked by; the snowflakes would move as if someone were kicking snow when they stepped on the light. It was quite realistic, but I’ve haven’t seen something like it since. This show was a bit different, but I didn’t find any point to it after creating one tree. The other exhibition was interesting as well. 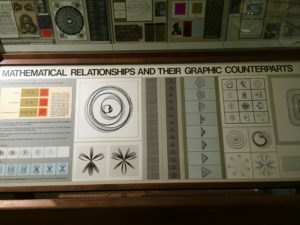 I enjoyed the graphical representation of mathematics and other complex ideas. See below for images. As for my class project, I’m working with a finance professional to examine the different ways to evaluate a company’s worth and well being. This will walk through the evaluation process while looking at different financial data gleaned from Bloomberg about various companies. I will visualize different key factors that are reviewed when assessing a corporate organization, as well as try to tell a story on what to look for when investing or buying into a company. I ended up using Tableau to visualize data taken from a Washington Post data set about fatalities from police shootings in the U.S. in 2015 until the present (10/16). Each visualization shows different factors such as the location of the shooting, gender, whether they were fleeing the police officer or not, if there was a body camera being worn, age, race, etc., and some show combinations of different factors in different formats to make it easier to parse through the data. Presentation talking about potential toolkit.